THOR can facilitate taking payment by credit or debit card but it does not have its own merchant account. To use this method you need to have your own merchant account and a credit/debit card terminal machine. THOR takes the essential information and provides it to you in a secure manner - you then put the information into your terminal as a Cardholder Not Present (CNP) transaction. Cardholder completes the form on your website (or the THOR website if you prefer) entering his card number and secure 3 digit number from the reverse of the card. Cardholder presses the THOR book it button to provisionally reserve the accommodation and send send the card information. The card information is stored securely and temporarily in encrypted format on the THOR server. An email is sent to you with a computer-generated code to retrieve the information using the username and password known only to you. 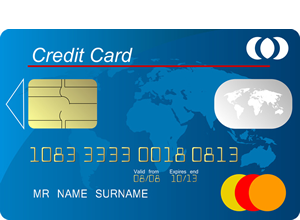 Your action in accessing the data triggers a self-destruct of the card information in 24 hours. When the payment is confirmed you confirm the reservation using the appropriate THOR standard email. If you do not have a merchant account we can assist.